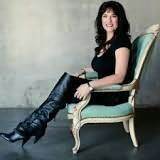 Helen Hardt is a #1 New York Times and USA Today Bestselling author. Her love for writing began with the books her mother read to her at bedtime. She wrote her first story at age six and hasn't stopped since. In addition to being an award winning author of contemporary and historical romance and erotica, she's a mother, a black belt in Taekwondo, a grammar geek.